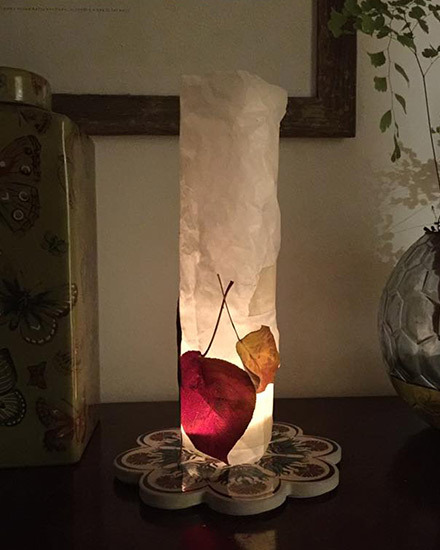 Winter Solstice is here and what better way to celebrate than with this DIY lantern project! Winter solstice is celebrated as the shortest day of the year and the longest night. In the Southern Hemisphere, this is the June solstice and this year, winter solstice is on Thursday 21st June 2018. The event is celebrated with various rituals, festivals, gatherings and other events around the world. In Australia, there are many lantern festivals where families come together and bring their own handmade lanterns. 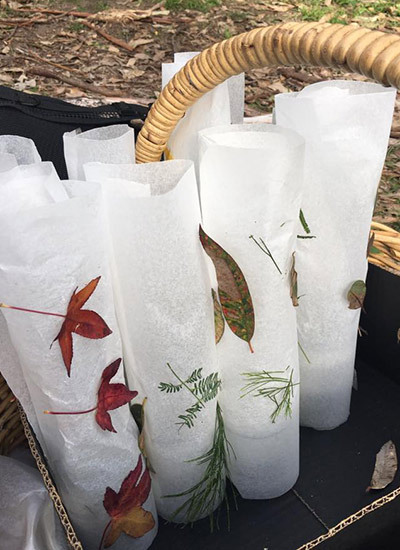 We have been making our own winter solstice lanterns this past week for our Eco Explorers bush playgroups so I thought I’d share two simple DIY lantern projects you can make with your child. 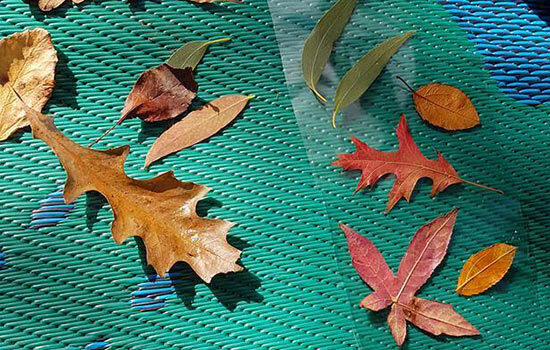 A collection of Autumn leaves. Cut the top end off so you have a straight edge. Cut a strip of contact that is the same width and length as your container. Remove the adhesive and lie it down with the sticky side, facing upwards. Place your Autumn leaves on the sticky side. 5. Carefully pick it up and wrap it around your container. 6. Place your battery operated tea light candle in the middle and you’re ready for your lantern festival! Cut a tall strip of baking paper that fits around your glass jar. 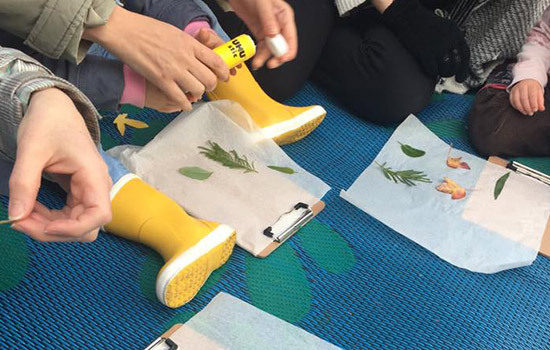 Using glue, stick your leaves onto the paper on the outside. 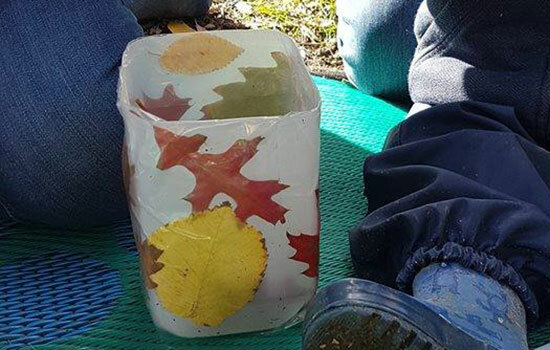 Wrap the piece around the glass jar and tape it together. Place your light/candle into the glass jar and watch it glow! This is such a fun activity to do with the kids. 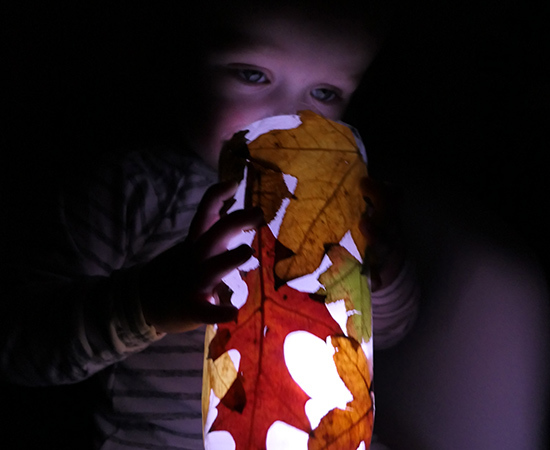 Have you made a lantern for this year’s winter solstice?